Offerings include (top, from left) Thodos Dance Chicago's A Light in the Dark: The Story of Helen Keller and Anne Sullivan, Another Snowy Day with Beatrix Potter, the world premiere of Moon Shot with Theatre Unspeakable, (bottom, from left) the return of the CCT hit musical The Hundred Dresses, the world premiere of Heidi Stillman's circus-infused adaptation of The Year I Didn't Go To School and Mermaid's Brown Bear, Brown Bear & Other Treasured Stories. Chicago Children's Theatre, the largest professional theater company devoted exclusively to children and young families in Chicago, has announced its 2016-17 mainstage season line-up at the Ruth Page Center for the Arts. Chicago Children's Theatre's 11th season kicks off with the company's first collaboration with a local dance company, Thodos Dance Chicago, to present its family-friendly dance story A Light in the Dark: The Story of Helen Keller and Anne Sullivan. Performances are October 11-23, 2016. Two productions - a Youngers Stages show for children 2 to 6, and a Later Stages show for kids 10 and up - will run "in rep" in November. First, for the little ones, CCT will present Another Snowy Day with Beatrix Potter, Will Bishop's clever sequel to his 2015 CCT world premiere based on the stories of Beatrix Potter. Meanwhile, older kids will enjoy the world premiere of Theatre Unspeakable's Moon Shot, in which seven actors squeeze onto a 21-square foot table to recreate the story of America's Apollo 11 lunar landing. Another Snowy Day and Moon Shot will rotate performances, November 1-20, 2016 on the Ruth Page stage. With the New Year comes a new take on an all-time favorite with the return of CCT's smash hit musical The Hundred Dresses. Adapted and created by Ralph "Ralph's World" Covert and G. Riley Mills, the original 2009 world premiere became one of the company's biggest hits ever. Sean Graney, artistic director of The Hypocrites, returns to direct this highly engaging and enlightening musical about a young girl who struggles to fit in with her new home and classmates, and what it takes to stand up to others-even when you're standing alone. Performances are January 17-February 19, 2017. 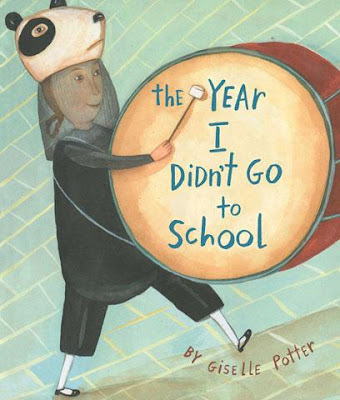 Next, if your child has ever asked to take a year off of school, let them find out what it's like with CCT's world premiere of The Year I Didn't Go to School: A Homemade Circus. Created and directed by Lookingglass Artistic Director Heidi Stillman and based on the popular picture book by Giselle Potter, this all-new production will be a thrilling experience for all ages, complete with circus arts. Performances are February 28-March 26, 2017. Chicago Children's Theatre will culminate its 11th season with Brown Bear, Brown Bear & Other Treasured Stories by Eric Carle, presented by Mermaid Theatre of Nova Scotia, May 2-28, 2017. Enjoy a whimsical menagerie drawn from the pages of the Eric Carle classic Brown Bear, Brown Bear, What Do You See?, told through the internationally acclaimed company's imaginative blend of innovative puppetry and striking scenic effects, on this, the 50th anniversary of the beloved book. A 3-show Later Stages Pass for kids 6 and up includes A Light in the Dark, Moon Shot and The Hundred Dresses. In addition, CCT offers deeply-discounted, "First Look" preview subscription packages, including a 6-plays-for-$60 series offering maximum savings of 75% off single tickets, or just $10 a ticket. Benefits for all packages include reserved seating, flexible ticketing dates, discounts on CCT classes and camps, no processing fees and exclusive member invitations to CCT special events. CCT also offers a Flex Pass with eight admissions to use however you want, for $280. To buy memberships, subscriptions or passes, visit chicagochildrenstheatre.org or call (872) 222-9555. Single tickets to CCT productions will range from $10 to $39, and will go on sale 10 weeks before the opening date of each show. (773) 227-0180 x 13 to learn more. Chicago Children's Theatre continues to grow its commitment to serving all Chicago children by expanding its array of services for patrons with disabilities. Each 2016-17 production at the Ruth Page will include an Access Weekend, during which all performances will be presented with access services for children on the autism spectrum, children who are blind or have low vision, or children who are deaf or hard of hearing. 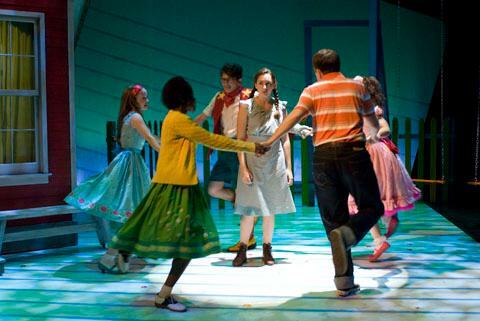 For Access Weekend dates and more information, visit chicagochildrenstheatre.org/access. 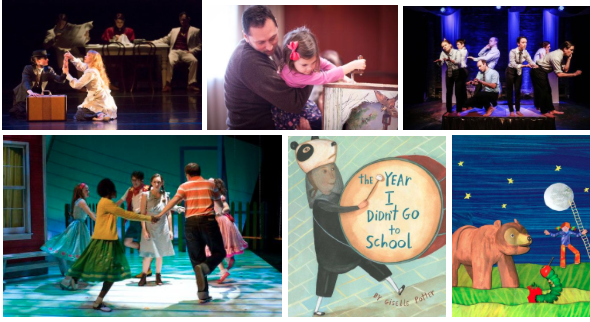 All shows will be presented at Chicago Children's Theatre's current performance home, the Ruth Page Center for the Arts, 1016 N. Dearborn St. in Chicago's Gold Coast neighborhood. The Ruth Page is convenient to public transportation, surrounded by family-friendly restaurants, and is just steps from Chicago's Magnificent Mile. 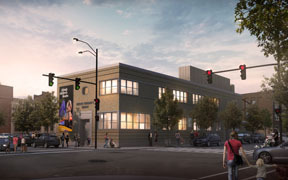 In addition to presenting its 2016-17 mainstage season at the Ruth Page, behind the scenes, Chicago Children's Theatre is busy renovating the former, 12th District Police Station at 100 S. Racine Avenue in Chicago's West Loop into a beautiful, mixed-use performing arts and education facility designed to serve all Chicago families. Slated to open in January, 2017, Phase One of the new Chicago Children's Theatre will be anchored by a flexible, 149-seat studio theater ready to host professional performances, student shows and Red Kite interactive theater experiences for students with autism. The new building, which also houses classrooms and support space, will be CCT's headquarters for all educational programming, which will start up immediately. 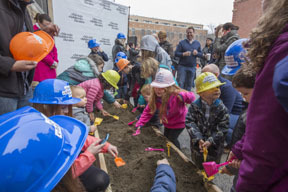 Phase Two of the new Chicago Children's Theatre boasts a second, state-of-the-art, 299-seat mainstage theater, scheduled for completion in 2020. Stay tuned for more exciting news in the coming months about Grand Opening festivities for the company's first-ever permanent home, plus two, must-see live family productions set to premiere in the new Chicago Children's Theatre studio theater in 2017. Chicago Children's Theatre presents a fall run, just for kids, of Thodos Dance Chicago's A Light in the Dark: The Story of Helen Keller and Anne Sullivan, the critically acclaimed dance story about a caring teacher who helped guide a blind and deaf girl into a life as an internationally acclaimed writer and political activist. Choreographed by Melissa Thodos and Broadway legend Ann Reinking, A Light in the Dark uses movement and music to tell the true story of Helen Keller and her teacher Anne Sullivan. Thodos Dance Chicago is a dynamic contemporary dance company praised for its athleticism and distinctive choreographic voice. The Chicago Tribune called A Light in the Dark "a warm evocation of the past, an old fashioned storytelling art not often seen in choreography today." Dance Magazine noted A Light in the Dark offers "new insight into Helen Keller's world." The Chicago Sun-Times called it "a powerful portrait of the meaning of communication, movement, independence, freedom and love." Chicago Children's Theatre's first-ever collaboration with a dance company dovetails CCT's mission of making access and inclusion for all Chicago children core to its programming, particularly with this tale of a young blind and deaf girl who became an American icon. Post-show talks about disability awareness will be offered. This collaboration is funded by the Chicago Community Trust. Big story. Small stage. Back by popular demand! Seven actors squeeze onto a 21-square foot table nearly as tight as NASA's original Mercury capsules to recreate the story of America's Apollo 11 lunar landing. Using only their bodies and their voices, this astounding troupe of Chicago actors brings to life one of the most daring times in the history of human exploration: the Space Race. From the Cold War to Sputnik, from Yuri Gagarin to Neil Armstrong, this action-packed show brings the company's tongue-in-cheek humor to a whole new atmosphere - one where the rules of gravity no longer apply. 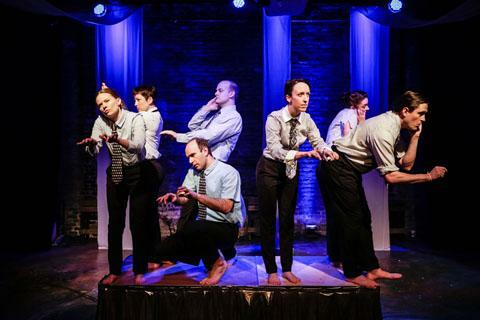 This is the second collaboration between Theater Unspeakable and Chicago Children's Theatre, where Theater Unspeakable's SuperMan 2050, an epic Superman story with similarly pocket proportions, ran to audience acclaim in 2014. The Chicago Reader called Chicago Children's Theatre's world premiere this season of Will Bishop's A Snowy Day with Beatrix Party "exquisite...and the performers are too." Hot on the heels of that highly successful run, this interactive show is back, but with a brand new tail (pun intended). Featuring iconic animal characters like Peter Rabbit and celebrating British country life, Beatrix Potter's beloved stories are told through a series of mechanical suitcase sculptures, which invite visitors to pull levers and turn cranks, revealing images that surprise and delight. One of Chicago Children's Theatre's all-time audience favorites, and the same show that prompted the Chicago Tribune to proclaim CCT had "delivered on its promise to elevate the experience of children's theater in this city" is back, ready to entertain and enlighten a whole new generation of Chicago kids. Based on the book by Eleanor Estes, The Hundred Dresses tells the story of Wanda Petronski, an imaginative young Polish girl who struggles to fit in with her new American home - and harder yet, her new classmates. With a rockin' musical score by Ralph "Ralph's World" Covert, The Hundred Dresses is a timeless tale that explores the bonds of friendship, the willingness to be yourself, and the courage that it takes to stand up to others-even when you're standing alone. Parents, here's that rare chance to let your kids experience what it is like to be able to take a year off of school. And at Chicago Children's Theatre, it will only take about an hour. Created by Lookingglass Theatre's Heidi Stillman and based on the children's book by Giselle Potter, The Year I Didn't Go to School: A Wee Family Circus is an all-new production sure to thrill all ages. This new work combines circus arts with the story of seven-year-old Giselle, who shares some of the best things that happened to her the year she didn't go to school. For instance, she traveled around Italy with her family's theater troupe. She performed in an outdoor theater as a monkey, a panda and a lion. She ate spaghetti with fried egg on top. She slept in a truck. And wore cowboy boots. She spoke Italian ("Ciao! "), and kept a journal to remember everything that happened to her and her little sister,Chloë. Don't miss this inspiring, autobiographical glimpse into a beloved children's writer's unusual childhood that no doubt helped foster her development as an artist and author. 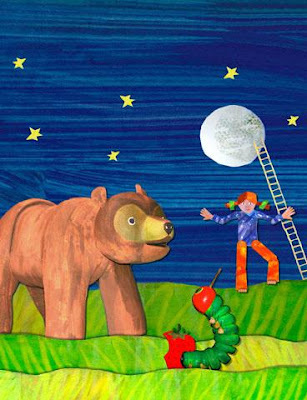 Brown Bear, Brown Bear and other Treasured Stories by Eric Carle bring together old favorites and new friends. This hour-long production showcases the imaginative blend of innovative puppetry and striking scenic effects that has won international acclaim for the Nova Scotia-based theatre. Enjoy a whimsical menagerie drawn from the pages of Brown Bear, Brown Bear, What Do You See? Celebrating its fiftieth anniversary, this story has introduced generations of toddlers to the delights of identifying colors and objects. Time Out Chicago called Brown Bear, Brown Bear "sweet-as-can-be doses of narrated fantasy, made more so by a whimsical score. Even kids unfamiliar with Carle's canon remain rapt, thanks in large part to the dramatic lighting, those glowing sets and the handiwork of (just) two puppeteers." CCT has always honored a strong commitment to low-income families and children with special needs. In partnership with Chicago Public Schools and Target, the company offers free tickets and transportation to more than 5,000 Chicago-area low-income students each season. Meanwhile, the company has pioneered immersive theater designed for children on the autism spectrum via its Red Kite Project, and recently expanded programming for children with impaired vision or hearing and Down's syndrome. Chicago Children's Theatre also offers a full roster of after school theater classes and summer camps. Led by Artistic Director Jacqueline Russell, Board Chair Todd Leland and Community Programs Artistic Director Frank Maugeri, Chicago Children's Theatre is supported by a dynamic Board of Directors comprised of dedicated individuals from the fields of entertainment, philanthropy and business. Officers include Jeff Hughes, President; Lynn Lockwood Murphy, Vice Chair and Secretary; David Saltiel, Vice Chair; and David Chung, Treasurer. Chicago Children's Theatre is sponsored in part by ComEd, Goldman Sachs Gives and Target.